هذا التطبيق هدية رمضان لكم جميعا. حيث أننا بحثنا عن شيء مناسب لكننا لم نجد، فصنعنا تطبيقنا الخاص لتسهيل رمضانك وحياتك. ١- القبلة – حدد أتجاه القبلة بدقة أيما كنت. ٤- تبرعات- يمكنك دفع زكاة الفطر وإفطار صائم من خلال التطبيق. Download goPray: the all-in-one, qibla, prayer, athkar, and zakat app to help you find the most faith, peace, and goodwill for Ramadan 2018.
goPray creates an immersive and convenient Ramadan experience by addressing all the main hurdles that Muslims face during the holy month: tracking imsak/iftar times, giving zakat, reciting athkar, and finding the qibla. goPray is a modern, centering and efficient solution to the fast-paced distractions which Muslims encounter in our everyday lives. Conveniently built to fulfill all your faith priorities within one platform, goPray integrates seamlessly into contemporary lifestyles, empowering users to find the time and focus they need to truly make the most of their Ramadan this year. ● QIBLA - Instead of browsing through all your Islamic applications to find the qibla locator, just launch goPray and let the clear qibla compass guide you. ● PRAYER TIMES - goPray’s dual trackers help you stay on top of all 5 daily prayers and count down the time to iftar and imsak in a breeze! 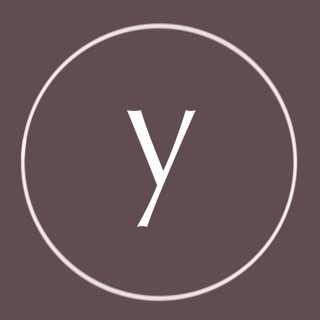 ● SEBHA - Tap your screen whenever you recite a thikr, and goPray’s visualized counter will add to your athkar tally. And if you need to stop for a while? That’s okay. goPray will hold your tally number right where you left it. ● PERSONALIZATION - Personalize your experience even more by choosing the display color that gives you the most peace, the most focus, or the most joy. Red, green, blue, or gray -- go ahead and make goPray yours. goPray is 100% free to download and use. It’s the Tap team’s way of sharing in the blessed season and giving back to our community during the holy month. So from all of us at Tap, to all of you -- Ramadan Mubarak! Download goPray, take your faith with you anywhere. Feel free to send us feedback or questions to hello@tap.company. We love to hear from you! التطبيق ذو تصميم جميل وخصوصاً "الويدجت"